The Nigeria Customs Service (NCS) yesterday said it has created a recruitment portal in its efforts to recruit 3,200 officers to fortify its operations. The Acting Deputy Comptroller-General of Customs, Umar Sanusi, disclosed this at a press briefing held at the Customs headquarters. According to him, 2,200 personnel will be recruited as general duty junior officers, while 800 will be employed as either Customs Assistant or Superintendent. Sanusi said the recruitment portal will open for three weeks and will be active for 24 hours. He said “for quite some time, the NCS has been undergoing reforms to strengthen and reposition it for effective service delivery. We have now come to a time when the human resource requirements for implementing the reform needed to be addressed. 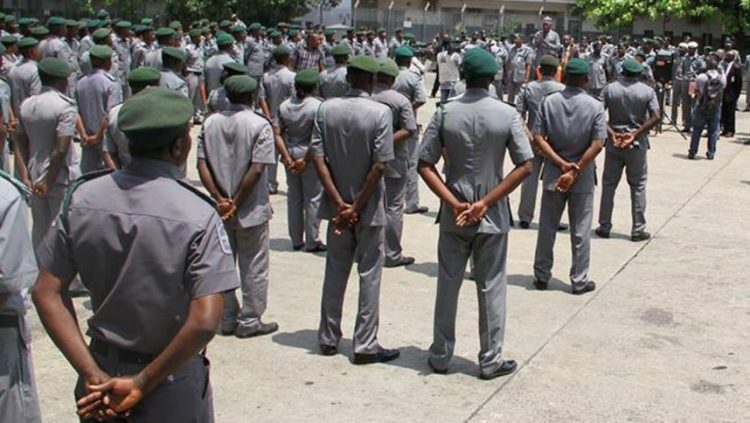 “Following the necessary approval from the Federal Executive Council (FEC), NCS is now set to recruit officers and men to fill existing vacancies in the support staff for Superintendent cadre category, Customs Inspector and Customs Assistant Cadre in the General Duty categories. He added: “We are aware that some criminal elements may want to take advantage of this recruitment to scam desperate job applicants. Some of them are reported to be operating illegal sites and portals, collecting various sums of money from applicants. I want to reiterate that the portal for this exercise can only be accessed through the official service website where no fees will be demanded. “A web portal to receive and process all applications has been created as a sub-domain of the NCS website www.customs.gov.ng. It is a user-friendly portal that prospective applicants from all parts of the country and even outside Nigeria can log on to and submit their applications and upload supporting documents. The URL is vacancy.customs.gov.ng. “Specific requirements established for the vacancies, shortlisting of candidates will be done and such candidates shortlisted will be notified and invited for a continuation of the recruitment process,” he explained. To complement the portal, Sanusi said NCS will deploy a help desk for applicants to handle complaints and offer support service. “A detailed Frequently Asked Questions (FAQs) is also populated on the application portal for further clarification. To ensure a hitch-free process, we are working with various technical partners including tested service providers that have successfully undertaken similar projects with other government agencies, telecom service providers and other agencies of government.